Everywhere you look in the Philippines, it is common to find people crowding make shift or portable stalls in the streets. These street foods are easy to find outside school gates, churches, parks and even in malls where they offer most exotic delicacies. Let’s take a trip to the streets of the Philippines and rediscover Pinoy street food. 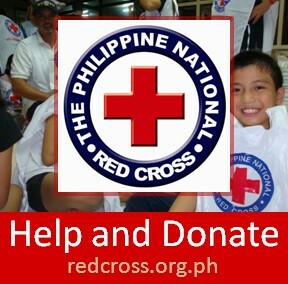 I saw this blog that brought my mind back to the Christmas tradition of the Philippines. Much like the Spaghetti ala Makati Supermarket’s famous meal, look into this recipe from “Pinoy Food | Free Filipino Food Recipe” and savor the taste that’s truly Filipino. 1. Add sugar to beaten eggs. 2. Combine salt and rice flour; add to egg mixture. 3. Add melted margarine and baking powder. 4. Pour into banana-leaf lined mold. My sister’s note: Tita Mimi assumes we know that the banana leaves have to be wilted, that is, passed over an open flame on the stove top. 5. Bake in 375 degree Fahrenheit oven. 6. 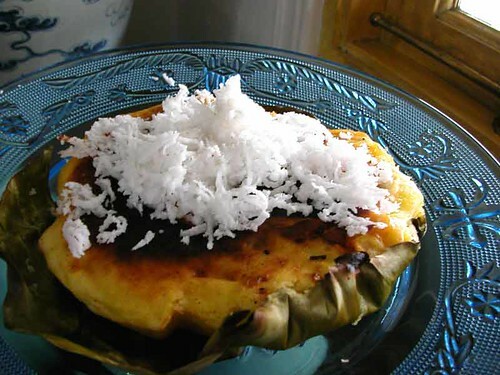 Brush top with coco cream and sugar; bake until golden crust is formed. note: Tita Mimi doesn’t say when to take out the bibingka to brush the top with the coco cream and sugar. I would assume that this is done when the bibingka is 3/4’s done (so the batter doesn’t flop). We would have to experiment on time frames. 7. Makes 3 large bibingkas. Maharlika Agro-Ventures Corp., a domestic poultry firm and contract grower for San Miguel Foods, Inc., has established a new company — North Star Poultry Equities, Inc. — for a “virtual poultry farming” project. North Star Poultry would be co-owned by overseas Filipino workers (OFWs). 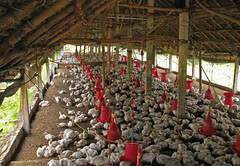 An overseas worker can invest at least P50,000 on the virtual poultry farm. Investors can monitor how their poultry operation is doing through a Web site that would be created specifically for the project. 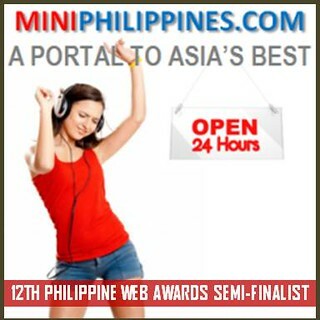 This website is powered by photo.net.ph and features the best Filipino videos online. From Travel, Adventure, Food, Pinoy TV, Music and even Politics and sports, its aim is to compile the best videos online for every Filipino’s viewing pleasure. This site is all about showing “Pinoy pride” online. All videos are categorized and arranged by specific keywords, and are also hosted by YouTube. If you want to add your video, you need to contact the website’s operator at info@videos.ph. The Bank of the Philippines Islands (BPI) is holding a contest in search for the “Ten Outstanding Expat Pinoy Children,” which the bank started in 2007. Applicants for the contest must be children of expatriate Filipinos with existing contracts in another country, ages 15 to 21 years old, currently enrolled in school and must be in the top 10 percent of their class. 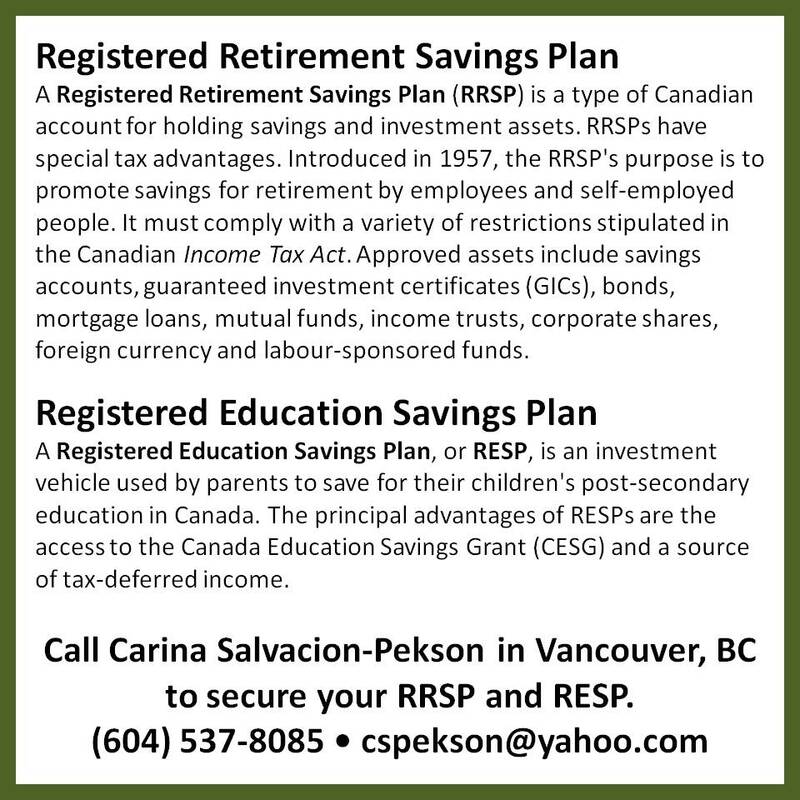 Also, their parents must be current depositors of the bank. The nomination form can be downloaded from www.bpiexpressonline.com.ph or www.bpidirect.com.ph under Promo Page-Remittance.